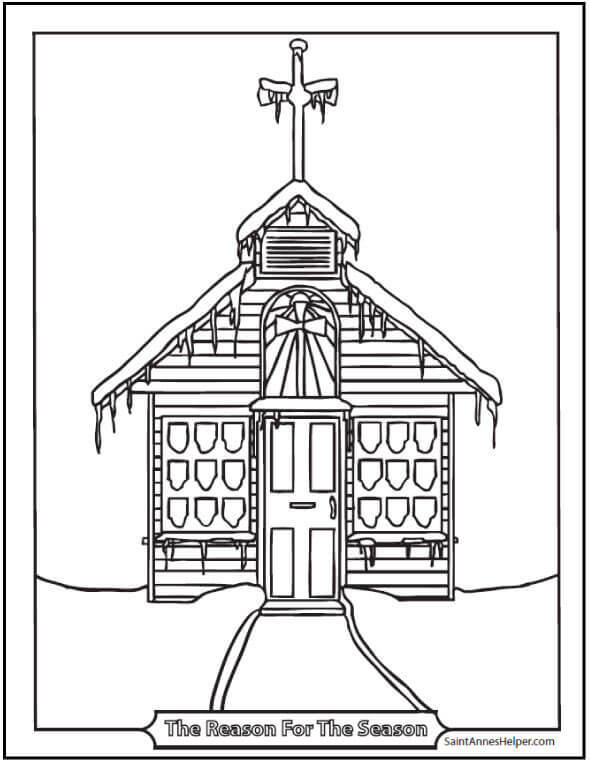 This snowy church coloring page is simple for preschool and kindergarten. Use for a Christmas coloring page, too. Snow and icicles. Color the sky blue and the walk way a gravel or brick color and the snow can stay white. Stained glass cross above the door. Print this Christmas church coloring page here.